This document, passed by the US Continental Congress on November 15, 1777, was enacted on March 1, 1781 as the founding constitution of the United States of America. The "Articles of Confederation and Perpetual Union" established the United States of America as a sovereign nation governed by the United States in Congress Assembled. The Articles of Confederation, passed by the US Continental Congress on November 15, 1777, was enacted on March 1, 1781 as the founding constitution of the United States of America. The "Articles of Confederation and Perpetual Union" established the United States of America as a sovereign nation governed by the United States in Congress Assembled (USCA). 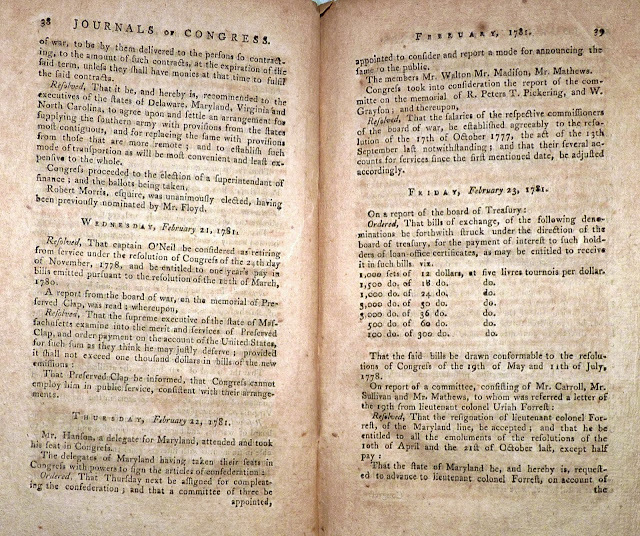 That eighty copies, and no more, of the confederation, as brought in by the committee, be immediately printed, and deposited with the secretary, who shall deliver one copy to each member: That a committee be appointed to superintend the press, who shall take care that the foregoing resolution [Articles of Confederation]. That the printer be under oath to deliver all the copies, which he shall print, together with the copy sheet, to the secretary, and not to disclose either directly or indirectly, the contents of the said confederation: That no member furnish any person with his copy, or take any steps by which the said confederation may be re-printed, and that the secretary be under the like injunction. It is now a long Time, since I had an Opportunity of writing to you, and I fear you have suffered unnecessary Anxiety on my Account. -- In the Morning of the 19th. Inst., the Congress were allarmed, in their Beds, by a Letter from Mr. Hamilton one of General Washington’s Family, that the Enemy were in Possession of the Ford over the Schuylkill, and the Boats, so that they had it in their Power to be in Philadelphia, before Morning. The Papers of Congress, belonging to the Secretary's Office, the War Office, the Treasury Office, &c. were before sent to Bristol. The President, and all the other Gentlemen were gone that Road, so I followed, with my Friend Mr. Merchant [Marchant] of Rhode Island, to Trenton in the jersies. We stayed at Trenton, until the 21. when We set off, to Easton upon the Forks of Delaware. From Easton We went to Bethlehem, from thence to Reading, from thence to Lancaster, and from thence to this Town, which is about a dozen Miles over the Susquehanna River. -- Here Congress is to sit. In order to convey the Papers, with safeties, which are of more Importance than all the Members, We were induced to take this Circuit, which is near 180 Miles, whereas this Town by the directest Road is not more than 88 miles from Philadelphia. This Tour has given me an Opportunity of seeing many Parts of this Country, which I never saw before. The Congress still continues the same noisy, empty & talkative assembly it always was since I have known it. No progress has been made in the Confederation tho' all seem desirous of forming one. A good confederation I am convinced would give us great strength & new vigor. This State is in a great degree disaffected, & the well affected are inactive & supine. This supiness & inactivity I attribute to the government & to the men who govern; they want wisdom, influence, & the confidence of a very great portion of the People, particularly of those whose abilities & activity might in short time set things to rights. I believe we shall be able to get speedily thro' the Articles of Confederation, and shall sit faithfully about the Means of keeping our Currency in some sort of Credit. 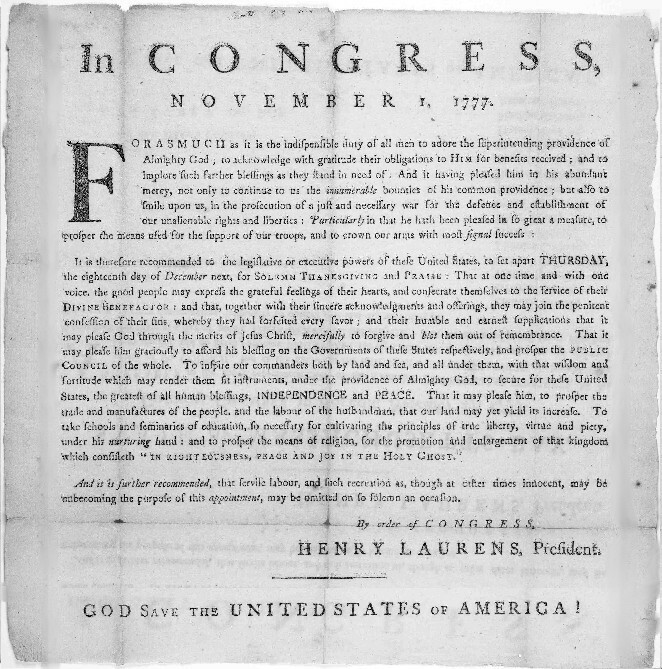 Henry Laurens, as a freshman delegate, impressed the members of Congress with his "nonpartisan" deliberations on the Articles of Confederation. Laurens remained steadfast against the nationalists' proposal to allow control of the proposed new federal government by the wealthy. He was also against Virginia's proposal to have one delegate in Congress for every 30,000 inhabitants, permitting each representative one vote and thereby allowing the large States to control the new federal government. 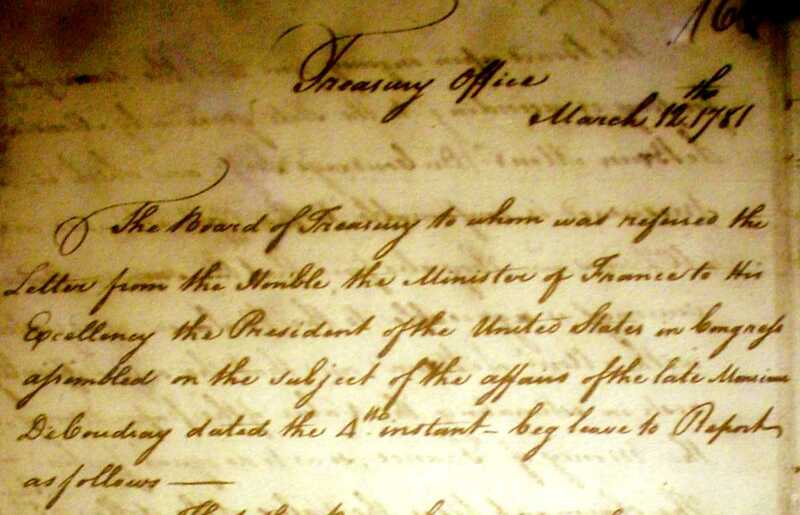 On the Article that prohibited the federal government from making any foreign treaty by preventing the individual States "from imposing such imposts and duties on foreigners as their own people are subject to", Laurens was the only southern member to vote against the measure. Only three other states, Rhode Island, New Hampshire, and Connecticut, voted with Laurens so the restrictive amendment became a part of the first constitution. This shackled the confederation government’s efforts to properly control and conduct foreign affairs for the United States of America. In an unusual position, Laurens voted for the new governing body called United States, in Congress Assembled (USCA) to have the authority to decide disputes between the States. Perplexingly, Laurens would later vote no on the establishment of an autonomous and separate governmental branch necessary for such judicial matters to be employed. This failure to separate the judicial duties of government from the legislative federal body plagued the United States until the enactment of the current U.S. Constitution on March 4, 1789. Significantly, Laurens, in a final constitutional act, voted against Virginia's last attempt to gain more power in the federal government based on population. Specifically, Virginia's amendment proposed that the nine votes necessary to determine matters of importance in the USCA must be from the states containing a majority of the white population in the new "Perpetual Union.” The measure failed largely because of Laurens’ efforts, as well as the objections of the other smaller states.. The South Carolinian’s vote did not follow the “southern block”--clearly indicating Laurens was free from sectional bias. He stood out time and time again, putting forth and supporting articles and ideas that attempted to forge 13 individual States into one unified nation. Laurens envisioned and worked diligently to form a constitution that empowered a new central government to act for the benefit of all states equally. This philosophy, along with his wealth, unknowingly made him a leading candidate for the Presidency to replace the ailing John Hancock in October of 1777. 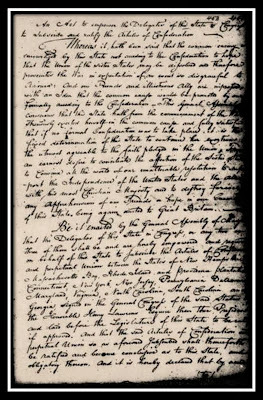 A letter, of the 18 October, from General Gates, with the copy of the convention at Saratoga, whereby General Burgoyne surrenders himself and his whole army; and another, of the 20th, enclosing the copy of a letter from him to Major General John Vaughan, were read. The spirit of the delegates soared as the thorough defeat of General Burgoyne was far more than anyone anticipated. The following day, to Henry Laurens’ astonishment, the Chair nominated him to be the President of the Continental Congress. The vote was taken and with unanimous approval, he was elected the fourth President of a very festive Continental Congress. Henry Laurens did not reconvene the Continental Congress until November 4th, when they officially thanked General Horatio Gates and his army for their defense against Burgoyne's invasion as well as various other officers and units for their defense of the Delaware. After another recess, Congress reconvened on November 7th to reorganize the Board of War and agreed to resume debate to finalize the Articles of Confederation. The constitutional deliberations resumed on the 10th, with the Delegates working until the morning of November 15th, 1777, concluding the session with the passage of the Articles of Confederation. The Articles constituted a feeble constitution, a confederation of sovereign States that formed a Not Quite Perpetual Union based on mutual respect and a central government with no taxing power. The federal government also had no power to regulate trade between the States. The national government would have to ask the States for money to wage war, establish federal departments, hire employees, maintain a judicial system and carry out the host of laws Congress passed to govern the new United States of America. The States were expected, in a most gentlemanly fashion, to comply with all constitutional requests, bequeathing the federal government with money and land to fund its national endeavors. The legislative, executive and judicial systems were all entrusted to one body: the “United States in Congress Assembled.” Each State had only one vote despite its population or its size, “all equal in the eyes of God.” Presidents served only one year and Congress rotated candidacy between North and South. The Presidents and Commander-in-Chief accepted only expenses for their services. It was a furtive commune where all members pledged secrecy and service for God and the people of their respective States that were freely united and desperately seeking peace. I. Establish the name of the nation as "The United States of America;"
III. Establish the Sovereign States as one Sovereign nation ". . . for their common defense, the security of their liberties, and their mutual and general welfare, binding themselves to assist each other, against all force offered to, or attacks made upon them . . . ;"
XIII. Declares that the Articles of Confederation are perpetual, and can only be altered by approval of Congress with ratification by all the state legislatures. The Continental Congress, after 16 months of debate and deliberations, forged the United States Constitution of 1777, creating one nation empowered to govern but with one caveat: All 13 States were required to ratify the constitution before it would officially take effect. 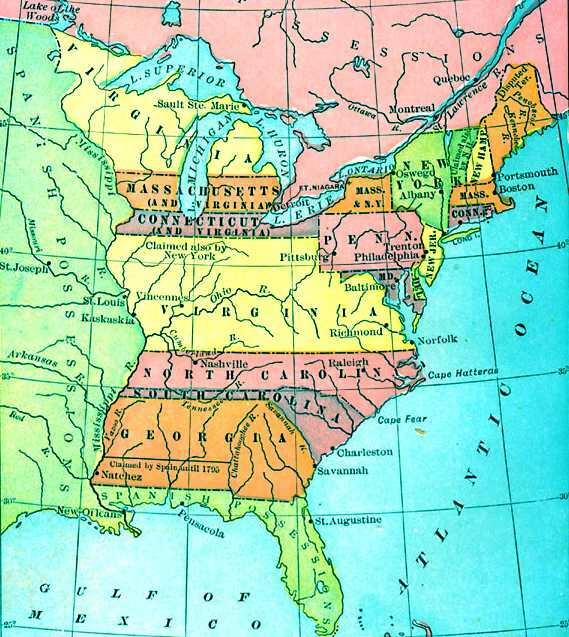 The 1777 Maryland Plan, even before the Articles of Confederation were passed by the U.S. Continental Congress, proposed that the USCA would have the sole right and power over the frontier lands “North and West of the Ohio River,” later known as the Northwest Territory. This measure, however, was heartily opposed by Virginia, New York, Connecticut, and Massachusetts who all had vast interior claims to the Northwest Territory. The Southern states of Georgia, South and North Carolina also had claims that stretched all the way to the Mississippi River. Maryland was alone but knowing that the constitution required state assembly ratification, its delegates approved the Articles of Confederation on November 15, 1777. The question of Northwest Territorial land claims was left to be considered by the individual state governments who were charged with the review and ratification of the Articles of Confederation. 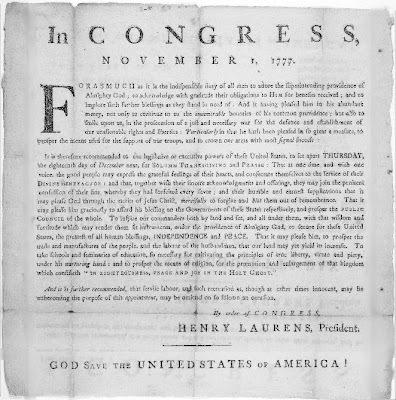 We are convinced policy and justice require that a country unsettled at the commencement of this war, claimed by the British Crown, and ceded to it by the treaty of Paris, if wrested from the common enemy by the blood and the treasure of the 13 States, should be considered as a common property, subject to be parceled out by Congress into free, convenient, and independent governments, in such manner and at such times as the wisdom of that assembly shall hereafter direct. It was now the charge of Continental Congress Delegates John Hanson and Daniel Carroll to persistently press this demand of their State. U.S. State 1776-1781 claims on land east of the Mississippi River. 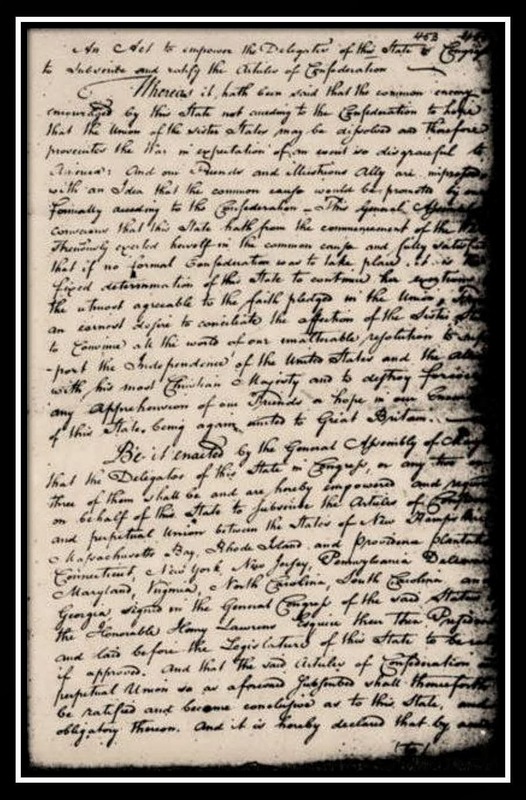 Resolved, That copies of the several papers referred to the committee be transmitted, with a copy of the report, to the legislatures of Virginia, North Carolina and Georgia the several states, and that it be earnestly recommended to those states, who have claims to the western country, to pass such laws, and give their delegates in Congress such powers as may effectually remove the only obstacle to a final ratification of the articles of confederation; and that the legislature of Maryland be earnestly requested to authorize their delegates in Congress to subscribe the said articles; and that a copy of the aforementioned remonstrance from the assembly of Virginia and act of the legislature of New York, together with a copy of this report, be transmitted to the said legislature of Maryland. 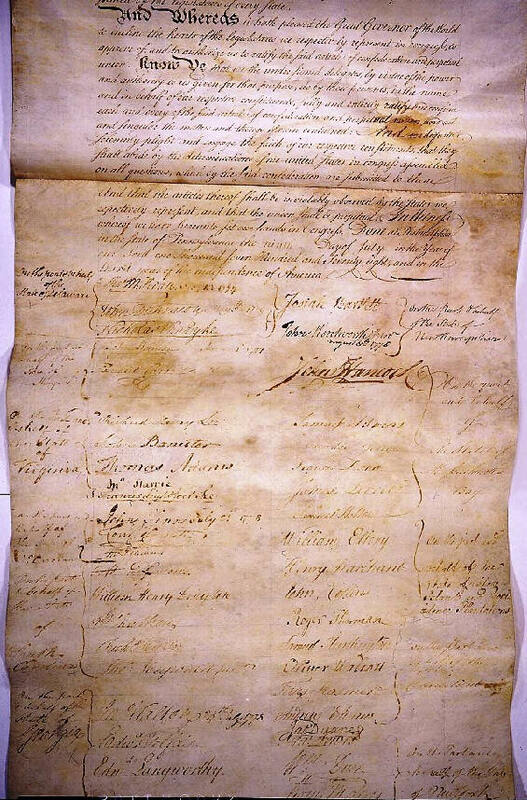 Resolved, That the unappropriated lands that may be ceded or relinquished to the United States, by any particular states, pursuant to the recommendation of Congress of the 6 day of September last, shall be granted and disposed of for the common benefit of all the United States that shall be members of the federal union, and be settled and formed into distinct republican states, which shall become members of the federal union, and have the same rights of sovereignty, freedom and independence, as the other states: that each state which shall be so formed shall contain a suitable extent of territory, not less than one hundred nor more than one hundred and fifty miles square, or as near thereto as circumstances will admit: and that upon such cession being made by any State and approved and accepted by Congress, the United States shall guaranty the remaining territory of the said States respectively. 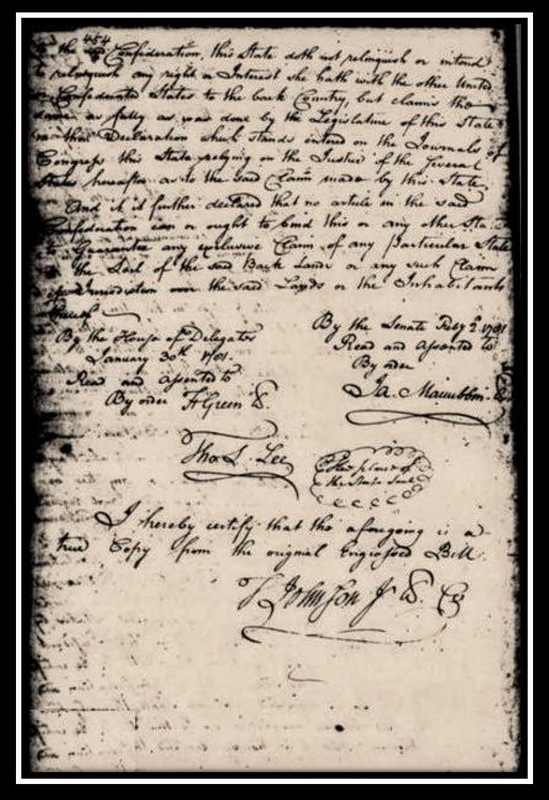 That the necessary and reasonable expenses which any particular state shall have incurred since the commencement of the present war, in subduing any of the British posts, or in maintaining forts or garrisons within and for the defense, or in acquiring any part of the territory that may be ceded or relinquished to the United States, shall be reimbursed; That the said lands shall be granted and settled at such times and under such regulations as shall hereafter be agreed on by the United States in Congress assembled, or any nine or more of them. That all purchases made of the Indians of any of said lands by private persons, without the approbation of the Legislature of the State to whom the right of preemption belonged, shall not be deemed valid to make a title to such purchases. 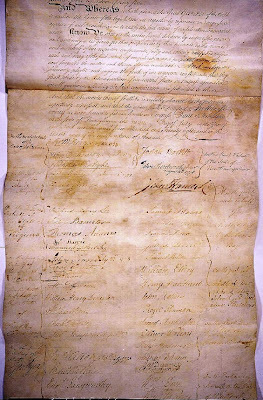 That no purchases and deeds from any Indians or Indian nations, for lands within the Territory to be ceded or relinquished, which have been made without the approbation of the legislature Postponed of the state within whose limits it lay for the use of any private person or persons whatsoever make a title to the purchasers shall not have been rated by lawful authority, shall be deemed valid or ratified by Congress. The president of Congress has promised to send by this post, a Copy of a late Law passed in Connecticut, respecting a Cession of some part of the back Lands. We have had nothing from Virginia or any other state on that Subject. 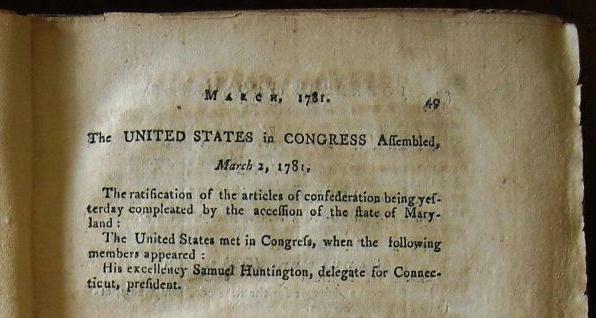 Maryland, thanks to John Hanson, Daniel Carroll, James Madison, Samuel Huntington and others brokering land cessions from the states, finally passed an act to empower their delegates to subscribe and ratify the Articles of Confederation on January 30th, 1781. On February 2, 1781 Governor Thomas Sim Lee signed the empowerment into law. On the first day of my appearing in Congress, I delivered the Act empowering the Delegates of Maryland to Subscribe the Articles of Confederation &c.! It was read, & entered on the Journals. The delegates of Maryland having taken their seats in Congress with powers to sign the Articles of Confederation: Ordered, That Thursday next [March 1, 1781]be assigned for compleating the Confederation; and that a committee of three be appointed, to consider and report a mode for announcing the same to the public: the members, [Mr. George] Walton, Mr. [James] Madison, Mr. [John] Mathews. In pursuance of an Act of the Legislature of Maryland, entitled, 'An Act to empow­er the Delegates of the State in Congress to subscriber and ratify the Articles of Confederation,' the Delegates of the said State, on Thursday last, at twelve o, signed and ratified the Articles of Confederation; by which act the Confederation of the United States of America was completed, each and every of the Thirteen States, from New Hampshire to George, both included, having adopted and con­firmed, and by their Delegates in Congress ratified the same. This happy even was immediately announced to the public by the discharge of the artillery on land, and the cannon of the shipping in the river Delaware. At two o’ clock his Excellency the President of Congress received on this occasion the congratulations of the Hon. the Minister Plenipotentiary of France, and of the Legislative and Executive Bodies of this State, of the Civil and Military Officers, sundry strangers of distinction in town, and of many of the principal inhabitants. The States of New Hampshire and Rhode Island having each but one Member in Congress, they became unrepresented by the Confirmation of the Confederation-By which not more than Seven nor less than two members is allowed to represent any State -Whereupon General Sullivan, Delegate from New Hampshire moved - That Congress would appoint a Committee of the States, and Adjourn till those States Could Send forward a Sufficient number of Delegates to represent them-Or that they would allow their Delegates now in Congress To give the Vote of the States until one More from each of those States was Sent to Congress to Make their representation Complete. But all their arguments were ably confuted by Mr. Burke of N.C. and others, and the absurdity of the motion fully pointed out, So that the question passed off without a Division. But it was the general opinion of Congress that those members might continue to sit in Congress, and debate & serve on Committees though they could not give the vote of their States. 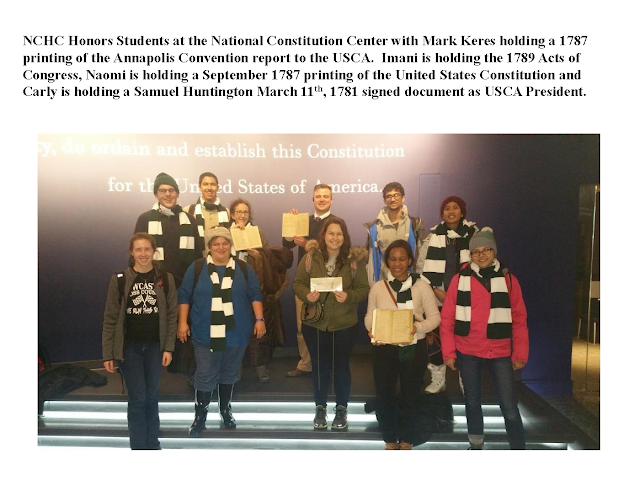 It was unanimously agreed that the Articles of Confederation were in full force and for a State to have a vote in the USCA, unlike the Continental Congress; at least two delegates were required to cast the one vote for their respective state. A requisition of Congress on the States for money is as much a law to them as their revenue Acts when passed are laws to their respective Citizens. If, for want of the faculty or means of enforcing a requisition, the law of Congress proves inefficient, does it not follow that in order to fulfill the views of the federal constitution, such a change sd. Be made as will render it efficient? Without such efficiency the end of this Constitution, which is to preserve order and justice among the members of the Union, must fail; as without a like efficiency would the end of State Constitutions, which is to preserve like order & justice among its members. Letter from John Adams to Abigail Adams, 30 September 1777. Original manuscript from the Adams Family Papers, Massachusetts Historical Society. General John Burgoyne (24 February 1722 – 4 August 1792) was a British army officer charged with gaining control of Lake Champlain and the Hudson River valley. This would divide New England from the southern colonies ending the rebellion. On 17 October, 1777, during the Saratoga campaign he surrendered his army of 6,000 men to General Horatio Gates and the northern Continental Army. John Adams, 30 September, 1777, op. cit. Letter from Charles Carroll of Carrollton, October 5, 1777. In Paul H. Smith, et al., eds, Letters of Delegates to Congress, 1774-1789. 25 volumes, Washington, D.C.: Library of Congress, 1976-2000). Cited hereafter as LDC, 1774-1789. Letter from James Lovell to General Horatio Gates, October 5, 1777. In as LDC, 1774-1789. JCC, 1774-1789, October 20, 1777. 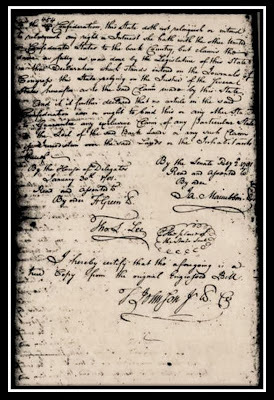 Debates on the Articles of Confederation and Hancock request for two months leave, October 29, 1777. JCC, 1774-1789. Thanksgiving Proclamation, Original Broadside, November 1, 1777, Library of Congress, Rare Book and Special Collections Division. Horatio Lloyd Gates (1727–1806) was a British soldier who became an American general during the Revolutionary War. He took credit, over Benedict Arnold who led the attack, for the American victory at the Battle of Saratoga. He was promoted to head the Board of War and from there sought to replace George Washington as commander-in-chief. The Conway Cabal failed and Gates was eventually given the Southern Command where he was thoroughly defeated by General Cornwallis in the Battle of Camden. 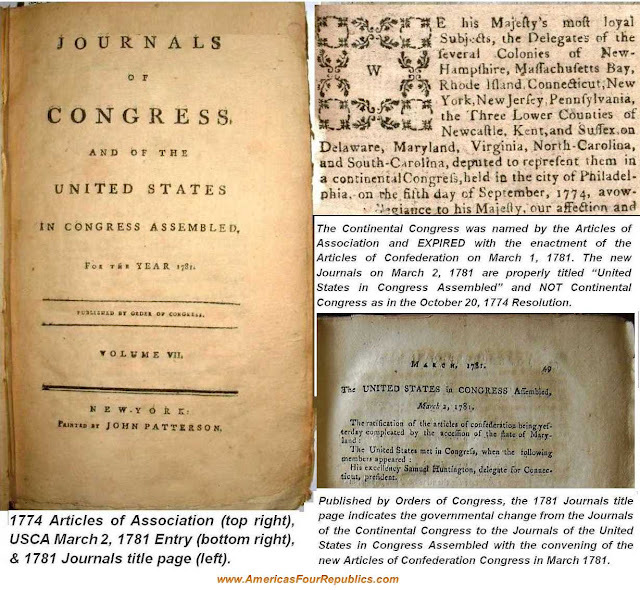 JCC, 1774-1789, Articles of Confederation, November 15, 1777, first paragraph. The concept of one vote to each State would be adopted under the current U.S. Constitution in the formation of any future constitutional conventions and the passage of all amendments. The representation would also be incorporated in the U.S. Senate with each State, regardless of size, having two votes. Format and some information gathered from Wikipedia’s Articles of Confederation http://en.wikipedia.org/wiki/Articles_of_Confederation. 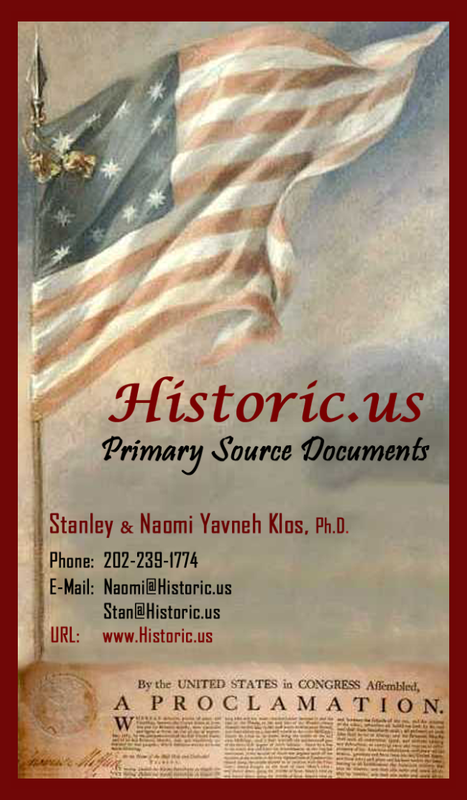 Fact checked against author’s research and JCC, 1774-1789, ed. Worthington C. Ford et al. John Nagy Editor - Pennsylvania Gazette 1728-1800 On-Line Publication By Accessible Archives, Malvern, PA, - http:www.accessible.com.